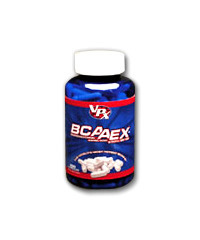 BCAAEX: Maximize Recovery Following Intense Training While Reducing Unwanted Body Fat. Coming Soon: BCAAEX, significantly more Potent than Regular BCAA'S. - Complete BCAA Absorption and Utilization. - Unparalleled BCAA Retention and Duration of Action. - Precise BCAA Ethyl Ester Ratio Clinically Proven to Significantly Increase Lean Muscle Mass & Strength. - Powerful Anabolic & Anti-Catabolic Activity to Inhibit Muscle Breakdown. - Maximize Recovery Following Intense Training While Reducing Unwanted Body Fat. - Increase Nitrogen Retention and Protein Synthesis. - Maintain Positive Nitrogen Balance Between Meals.